Juntos Contra el Dolor, A.C., the only 24/7 palliative care and hospice service in the state of Jalisco, Mexico, leads a yearly (sometimes twice yearly) medical and humanitarian mission to assist the Mazateca (people of the deer) in remote mountain communities of Oaxaca state. 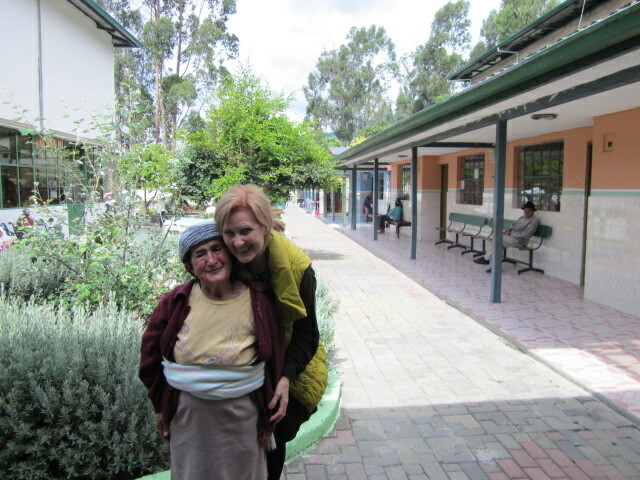 The team is led by Juntos founder Dr. Susana Lua Nava, a renowned specialist in palliative care and hospice. Palliative care in Mexico is generally provided by a team of doctors, nurses, social workers, psychologists, chaplains, and trained volunteers with the goal of relieving pain and creating a comfortable existence for patients physically, emotionally, and spiritually. An important part of the work is the educational component for families and caregivers. Hospice is an extension of palliative care for end-of-life. This year a group of 13 Jalisco volunteers (two physicians, nurses, social workers, a nutritionist, and trained palliative care missionaries) drove from Guadalajara in a rented white van to the high Sierras of Oaxaca in southern Mexico. The trip took 14 hours. After arrival, they spent the night in a local church in Huautla de Jimenez, population approximately 32,000. (See references and You Tube videos below for more info). Each day for nine days the team, divided into three groups, walked and climbed footpaths to families in the areas of San Andres Hidalgo, Chilchitlan, San Antonio, and Santa Carlota. Dwellings of each family are about an acre or more apart, sometimes kilometers apart. There is no running water in the dwellings. There is no electricity except in rare instances. There is no natural gas. Wood is used inside homes and exposure to smoke can lead to respiratory illnesses. Some families do not have shoes. The Mazateca homes, people, and clothing are clean and tidy. Personal hygiene is conducted with soap and small plastic bassinets of water. What was immediately noticeable to nutritionist Jorge Gonzalez Gonzalez of Tepatitlan, Jalisco, was the lack of food. Not enough food. This scarcity, he says, can lead to digestive illnesses – gastritis, colitis, stomach ulcers, pernicious anemia, and pyrosis (heartburn). “Poor nutrition,” he continues, “also leads to low weight and low height, and metabolic illnesses such as diabetes and hypertension.” The mission hiked in with bags of food staples for the ill and their families. The Mazateca culture holds unique health beliefs. When illness strikes, they follow a tradition of shamanic healing with the use of “magic mushrooms” or salvia divinorum (a green paste made from a plant), mixed with cosmology and some Catholicism (altars, candles, and prayers). The ill person is usually laid on the ground over blanket-covered wooden slats. The man in the photo below was thought to be dying of extreme stomach pain. His family placed the salvia (the green paste) on his head. It turned out he had a curable condition – ulcers – and the team was able to assist his healing. There is a general lack of knowledge among Mazatecas about many illnesses, especially cancer. There are no modern communications systems in rural areas. Few Mazatecas read or write. There are rarely funds to consult with a physician in Huautla, or to pay for medicine. “The situation is hard for these appreciative and kind people. Without access they just get sicker,” comments missionary German. The Juntos Contra el Dolor team is Catholic yet ecumenical. The team honors and works with traditions and belief systems of those they attend. Each mission has been able to address chronic pain and other needs, plus provide nutritional, emotional, and spiritual support. In addition to medical expertise and heartfelt prayers for patients and families, Dra Susana Lua Nava offers additional love and comfort by bathing the feet of those she cares for. As many Mazatecas do not speak Spanish, local interpreters work with the mission. This year, the team met an 18-year-old who had been diagnosed with stomach cancer in Puebla (the closest public (free) hospital). Doctors did not tell her or her family she might die. Apparently no treatments were offered and no medicine was available. No education or instructions were given about what to expect or how to handle the pain. It is possible there was no pain medicine available at the public hospital (often the case throughout Mexico). Perhaps the hospital did not have a palliative care team (likely), perhaps doctors were frustrated when there were no medicines to offer, or, perhaps the girl was discriminated against because she is indigenous and they wouldn’t give her medicine if they had it. There is no reliable account of what actually happened. Dra Susana Lua Nava and the team brought pain medicines and gave the family detailed instructions on how best to take care of their loved one. Despite the sad situations of illness encountered, missionary German concludes “in the 14 years I have been on humanitarian missions, I end up receiving much more than I have given.” Being with the noble Mazateca is always a gift. His sentiment was expressed by others who also felt humbled by the experience. There are approximately 305,836 Mazatecas in Mexico. Each Mazateca community is usually less than 500 in number. The native language Mazateco is related to Nahuatl. I have been sitting hospice as a volunteer since 1999. I currently have the honor of assisting at the only 24/7 palliative care hospital and hospice in the state of Jalisco, Mexico, http://www.juntoscontraeldolor.com, (United Against Pain). It is beyond words to try and describe what I see and feel as patients come and go – those who get well, those who pass in our presence, those who have family, those who are estranged from family, those who have no family. Every day is a lesson in human behavior, details of physical illness and care, psychology of illness, and feelings that occur as we observe pain and/or quiet passing of others. Every day, despite the circumstances, there is a demonstration of love. In early 2016 we received a call from El Refugio (The Refuge) missionaries, a non-profit that rescues people from the streets of Guadalajara. They had found a tall (by American standards), emaciated man who appeared to be dying. The man had been taken to the Hospital Civil Viejo (the Old Civil Hospital) where admittance was refused. The missionaries called in desperation. They remembered Juntos Contra el Dolor serves all regardless of economic position or faith. Everyone deserves a respectful end-of-life. The founder of the Juntos Contra el Dolor humanitarian model for Mexico, Dra Susana Lua Nava, urged the group to bring the man immediately. The man arrived dehydrated, malnourished, and appeared as though he would pass at any moment. We gently bathed him several times the first few days removing deep set black from his shoeless feet and body. We constantly changed the sheets and his gown. The odor was strong the first days and then dissipated. Around the fourth or fifth day the patient began to open his eyes. We started feeding him by mouth, little by little. Each of us who entered his room – physicians, nurses, social workers and volunteers would have the same experience. We would talk to him, but he could only answer with sounds. At first we thought it was because he had lost almost all this teeth. We finally figured out he did not speak Spanish. He might have been a native Huichol from the mountains of Jalisco. We did not know. But whenever we visited or fed him there would be light of appreciation in his eyes, and a slight smile on his strong, handsome face. When we stroked his forehead and hair or had our hands on his, he would bring our hands to his lips and kiss us. Tears would stream down his face. This is how he communicated. It made us wonder if he was ever attended to in his life. We too were moved. We felt a lot of compassion for him. We did our best to make him feel welcome and comfortable. His name? He had no identification. One of the rescuers decided on “Rogelio”. We did not know his age. We guessed age 80. We did not learn the circumstances of his life of course. All we knew is that at this stage of his existence he was alone and abandoned. But we were there. And one of the missionaries would come when he could to stay by Rogelio’s side all night, as family members usually do. There were humming sounds of prayer in the room each day from those who stood by him. In less than two weeks Rogelio passed in the early morning hours, veladoras (candles) burning. I was there alone with the night nurse. We bathed and diapered him. We wrapped his hands and head in gauze. We wrapped him in a new sheet with his face peeking out. I silently talked to him and wished him a good transition. I cannot speak for others who tended to him but his presence was an inexplicable gift. Most of the patients who come to us (or whom we go to at home) are surrounded by innumerable family members. Rogelio was no longer without support. Hopefully, we gave him a dignified death. Miraculously, El Refugio found a way to pay for his cremation. They found a place for his remains under a tree (we do not know where) and said prayers for him. He was cared for by everyone along his journey. See https://www.facebook.com/elrefugio.cuarto Note: When unknown persons pass in Guadalajara their remains are placed in an unmarked communal grave in the city cemetery. Rest in peace dear Rogelio.